"Last night, Jake and his four kids had come back to their Russellville home. As they were getting out of the car, one of his children discovered their family cat dead on the front porch. One side of the animal’s head had been bashed in and an eyeball was hanging out of its socket. But there was something even more horrifying to be found on the corpse. 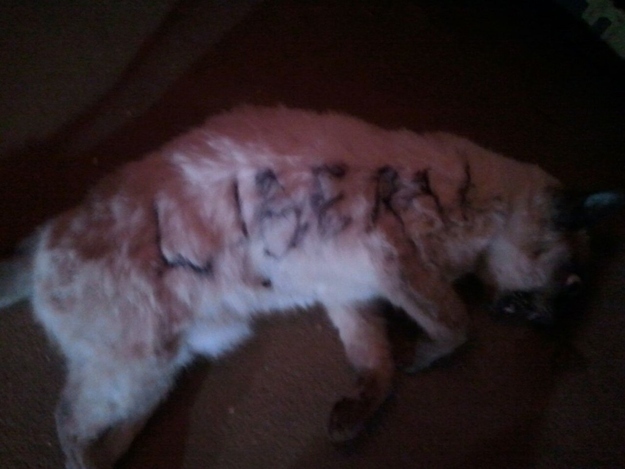 Written across the animal’s fur in black marker was the word “LIBERAL“." If you need me, I'll be on the internet. Happy Sunday. Keep the Sabbath Holy. The Gorgeous Lana Del Ray. Happy Friday.